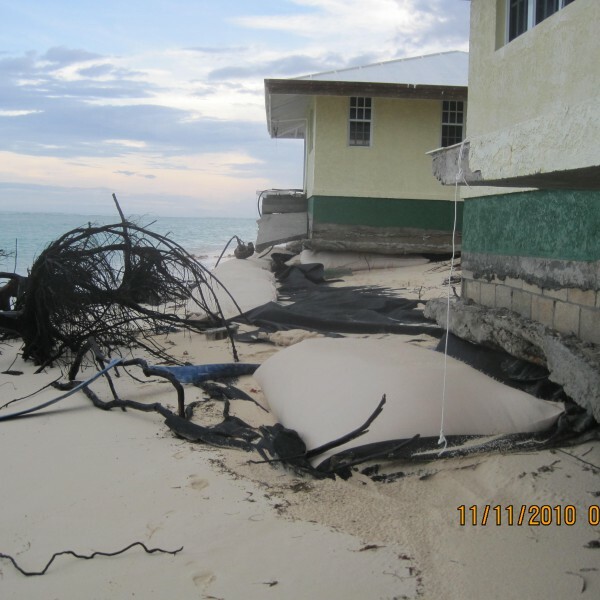 In late 2010 Hurricane Earl moved up the Caribbean and impacted the islands. 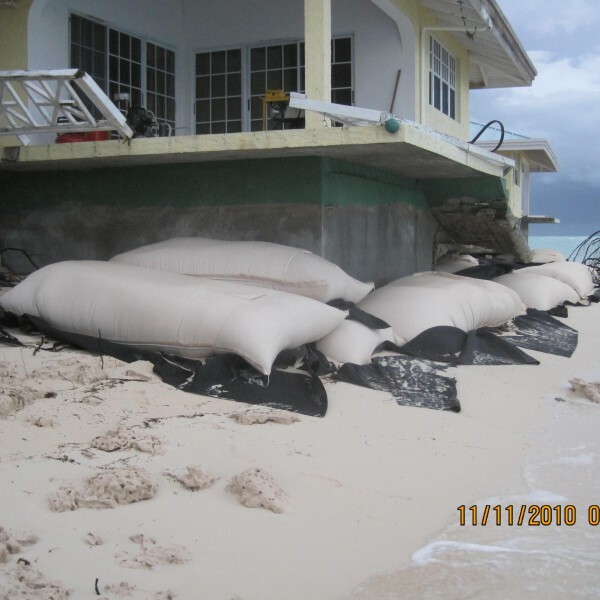 Anegada a low lying island North of Tortola, British Virgin Islands, took a serious hit from huge waves and wind, with this storm event, the “West End Cottages” were badly damaged, by the time the hurricane had passed by the property was left on the verge of vanishing beneath the sea, with the ocean surrounding 5 out of the 7 cottages, and with the entire beach gone, the owners were in a bind, enter Commercial Dive Services of Tortola, where we were contracted to reclaim the cottages and reinforce the property at the same time. 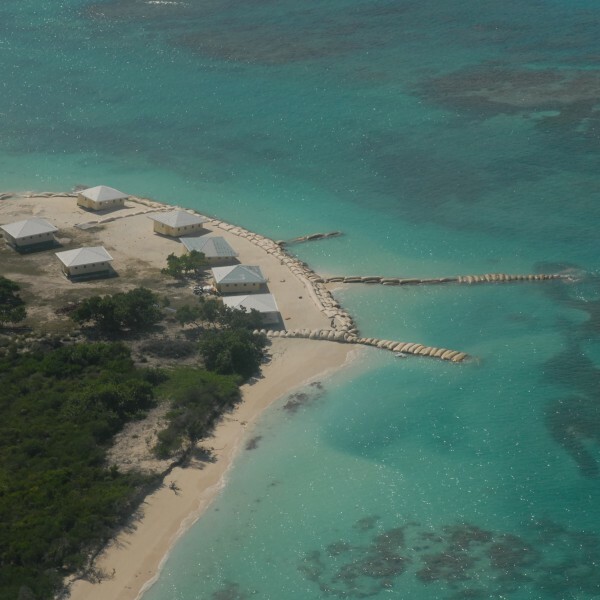 We decided on a “soft” approach, the island is a coral reef system where rock does not exist and the decision not to introduce rock stone to the ocean was carefully thought out, by deciding to use Geotextile bags, we knew we could modify the design and recovery effort as we moved along, this proved to be a flexible approach to the reclamation, not only did it shore up the property but allowed for the beach to return and remain in place. 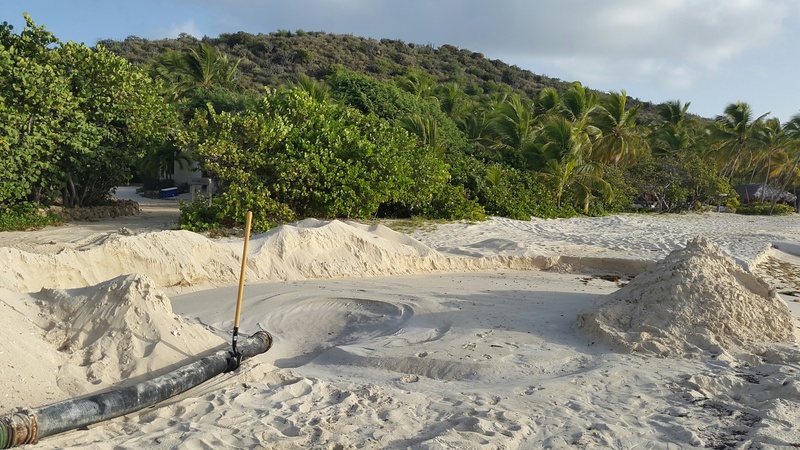 Over a period of 2 years more than 500 Geotextile bags were installed around the property boundary, divers pumped sand into the bags starting underwater and working their way to the surface while backfilling and reclaiming simultaneously. 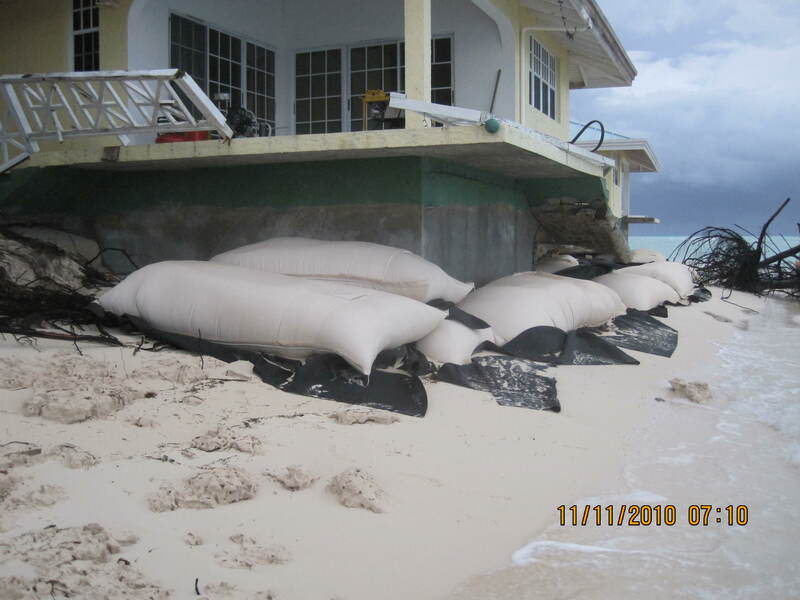 Two channels created by the storm were “plugged” with large 20×20 Geotextile bags and filled, this immediately slowed the significant erosion. 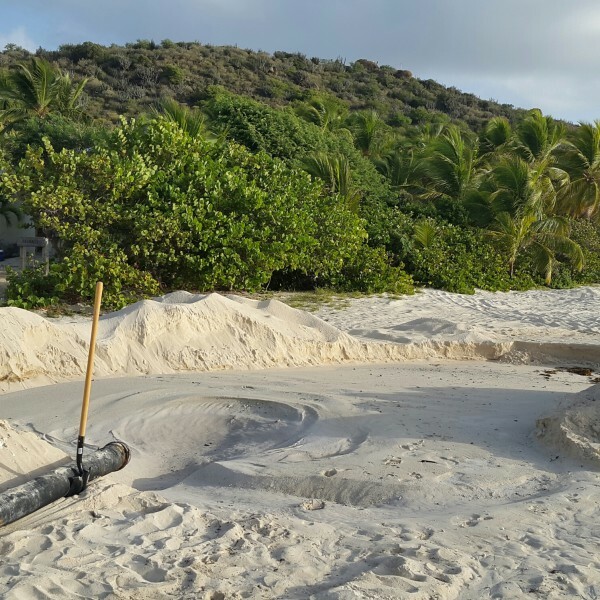 By the end of the project the property was stable and secure with a large beach that had not been seen prior to the late 1990’s. 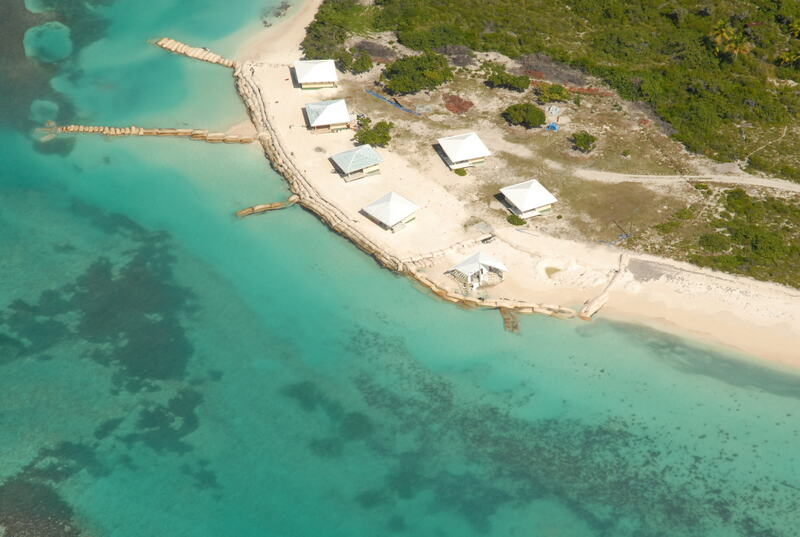 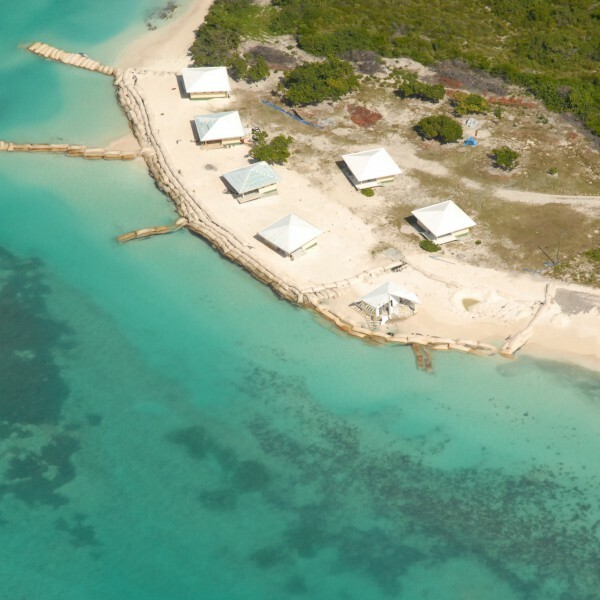 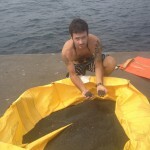 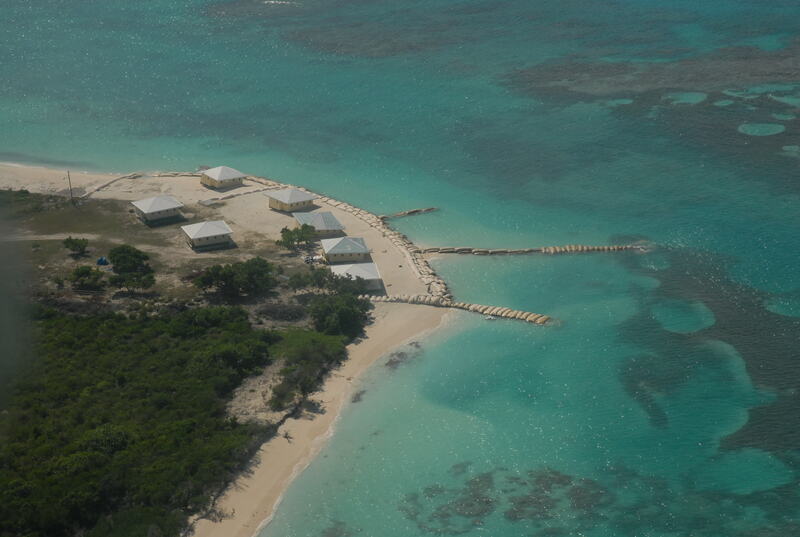 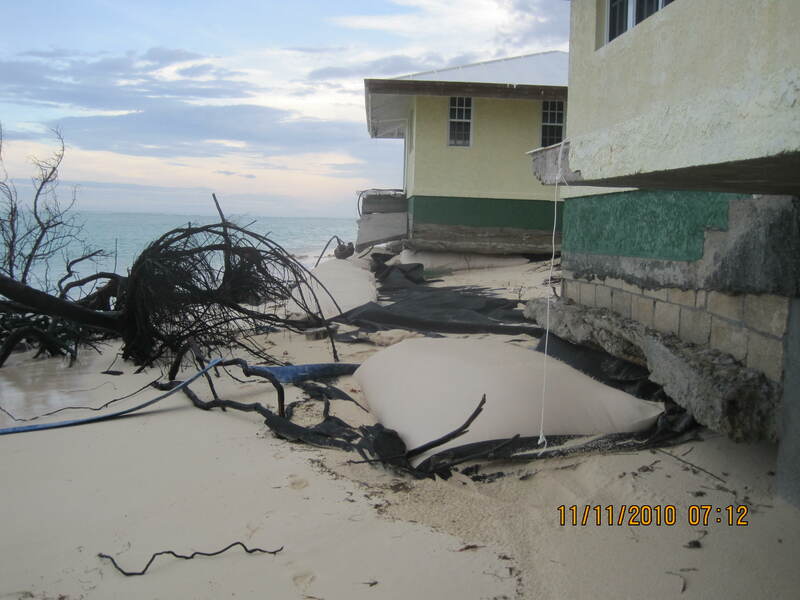 Commercial Dive Services Limited pride ourselves in beach building, reclamation and restoration.